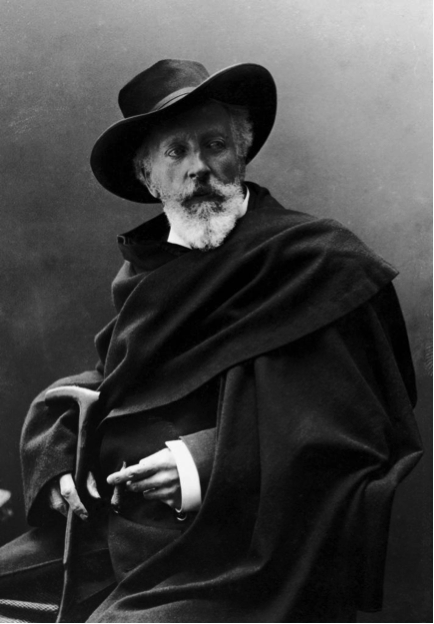 Holger Drachmann, in all of his poet glory. Inspired by Naturalist and Realist philosophies, which valued objectivity and authenticity, the Skagen artists wanted to paint “the truth”, which generally meant “the ugly” or “the primitive”. They painted the local fisherfolk in ways that reinforced their primitiveness (because of their lower class and remote location) with rapid brushstrokes and plein-air (open air) painting. 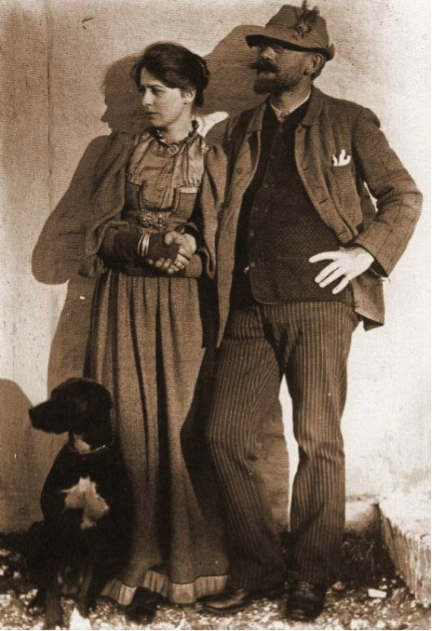 Famous Skagen artist P. S. Krøyer and his wife, Marie. These photos should prove that the Skagen artists were truly the Scandinavian hipsters of their day. Anna Ancher was the only member of the Skagen colony who was born and raised in Skagen. Since artists usually only visited rural locations for a few months at a time, Anna Ancher had superior access to the local Skageners compared to her peers. The sense of intimacy that she paints her subjects with is often attributed to this. Anna Ancher lived a pretty drama-free life for an artist, so unfortunately there’s not much juicy gossip here. She was the daughter of the innkeeper at Brøndum’s Hotel in Skagen. When artist Michael Ancher came to Skagen to paint in 1874, he stayed at Brøndum’s and took notice of Anna, who was only fifteen at the time. The next summer they were secretly engaged. They married in 1880 and remained married throughout the rest of their lives in an apparently stable and creative marriage. The painting Judgment of a Day’s Work shows the couple sitting together and discussing a recently completed painting. Anna seems to have been a kind and positive person, and as far as I can tell she was universally well liked. Give me a quick selection of her art! 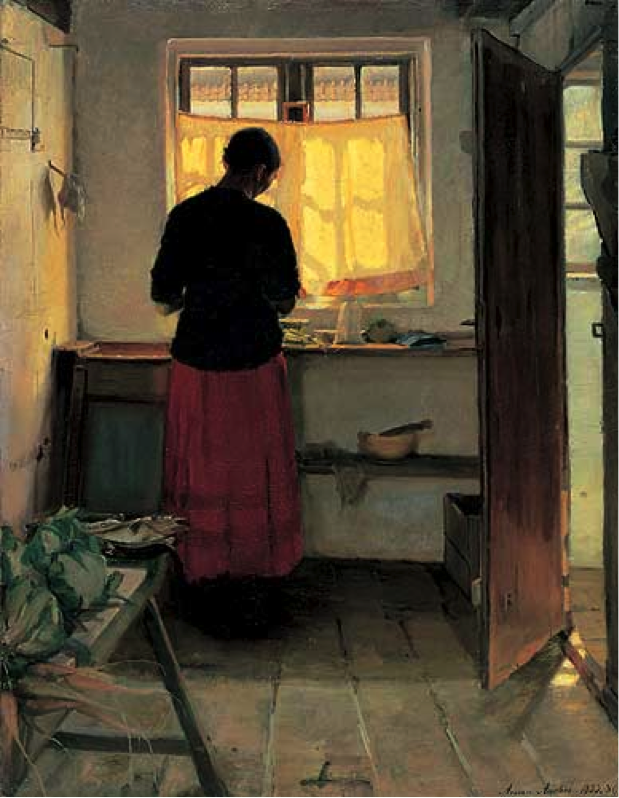 Anna Ancher painted dozens of images like this, of women engaged in domestic tasks with their back to the viewer. It allows for a sense of voyeurism but also of intimacy as we’re allowed into quiet, private moments in the life of the subjects. This is one of my favourite paintings. 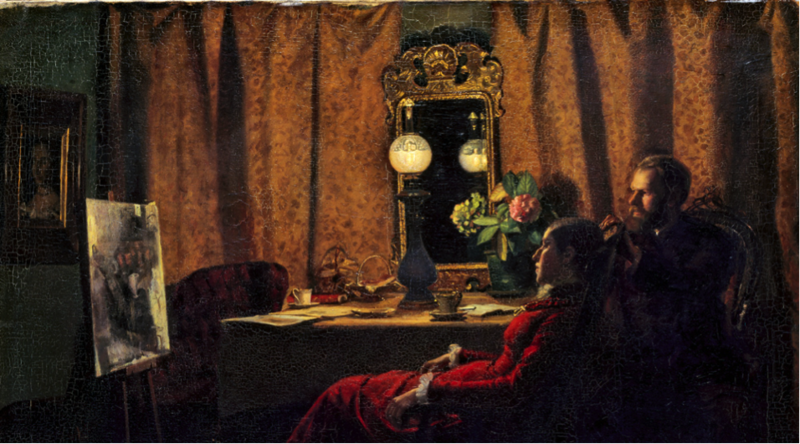 I have a small reproduction of it on my wall, and I’ve even been to the room that it depicts (located in the old annex of Brøndums Hotel in Skagen). The subject is Helga, Ancher’s daughter. The focus, however, is not on her but on the colours and the startling patches of sunlight cast by the windows. 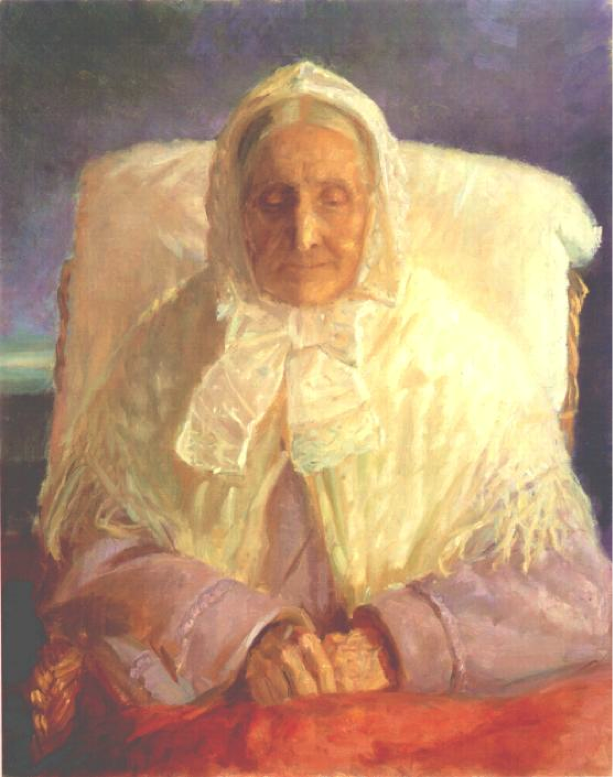 Anna Ancher’s mother was one of her most frequently used and emotional motifs. 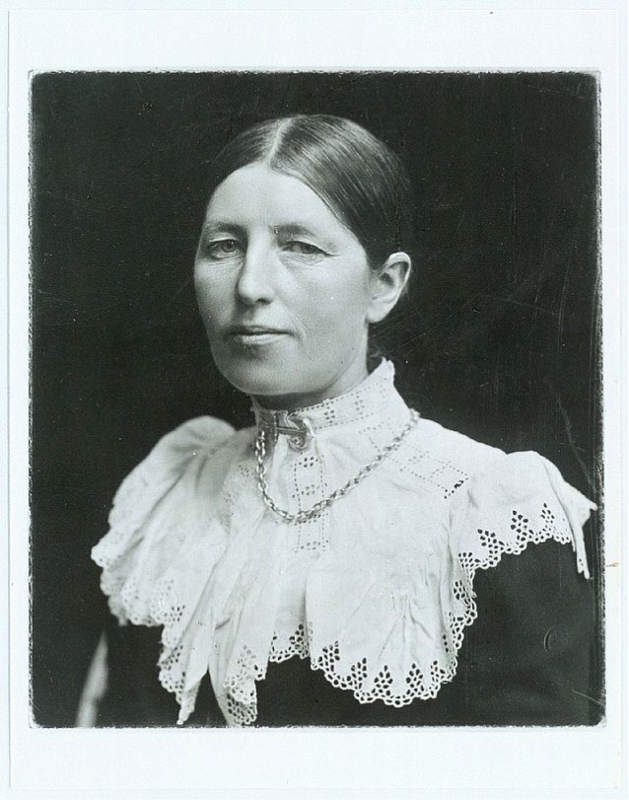 Her mother, Ane Hedvig Brøndum, seems to have had a deep impact on Ancher’s life, especially due to her deep religious beliefs. Anna seems to have been constantly split between these religious beliefs and the more bohemian artists’ society. 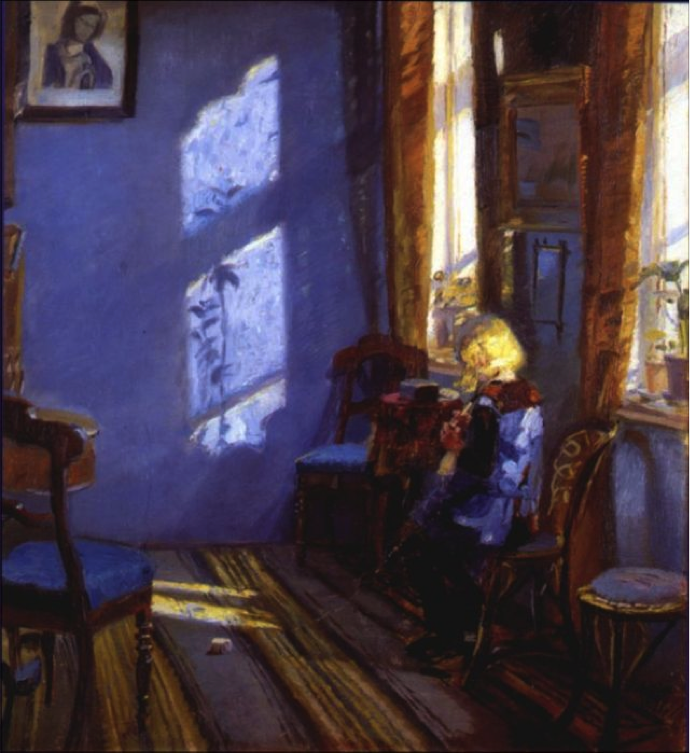 Sunlight in the Blue Room can be seen as a precursor to this painting in its exploration of an interior space and its formal elements of light and colour. 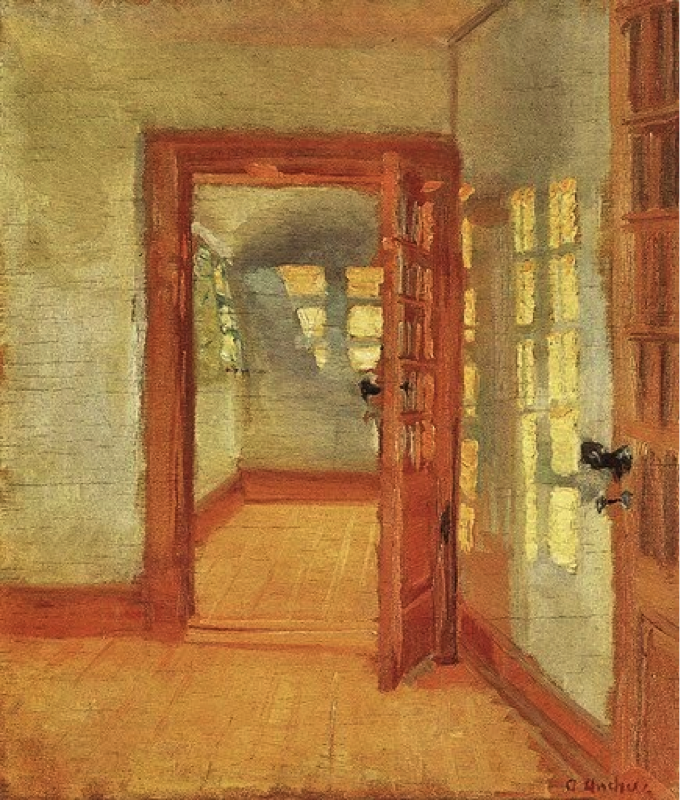 Several art historians view this painting as evidence of Ancher’s exploration of the abstract. If you’re able, I really recommend an actual trip to Skagen. You’ll have to get to Copenhagen and then drive or take the train to the Northern-most tip, but if you’re interested in the Skagen painters or enjoy Danish beach vacations it’s really great. A few of the original artist-colonists helped establish the Skagen Museum in the early 1900s and it’s still there today, with a stunning collection of the colony’s artwork. Anna and Michael Ancher’s house is still preserved and you can go inside and have a look around. When I visited, I was even lucky enough to stay in Brøndum’s Hotel, the nineteenth-century building where the original artist-colonists gathered, lived and socialized.